Westinghouse 10.5" Round Griddle Just $5.77! Down From $16! You are here: Home / Great Deals / Amazon Deals / Westinghouse 10.5″ Round Griddle Just $5.77! Down From $16! Westinghouse 10.5″ Round Griddle Just $5.77! Down From $16! Head over to Amazon to get this Westinghouse 10.5″ Round Griddle for just $5.77 down from $15.75! Please note that this is an add-on item and will ship with a qualifying order of $25! The Westinghouse seasoned cast iron griddle offers a large cooking surface as well as ½ inch depth with raised lip to keep ingredients from spilling over the edge. 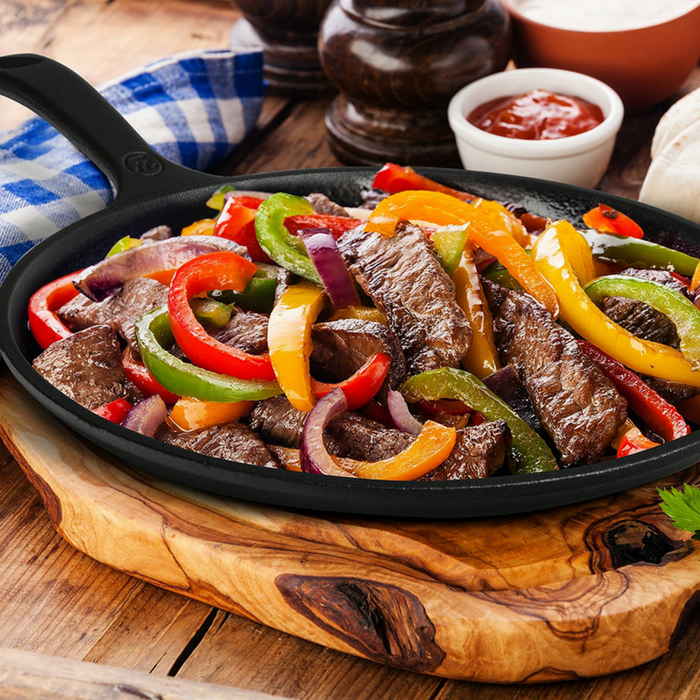 The griddle is perfect for tortillas, quesadillas, roasted veggies, pizza and of course grilled sandwiches complete with that golden, brown crust. **Not recommended for ceramic and/or glass smooth top ranges.